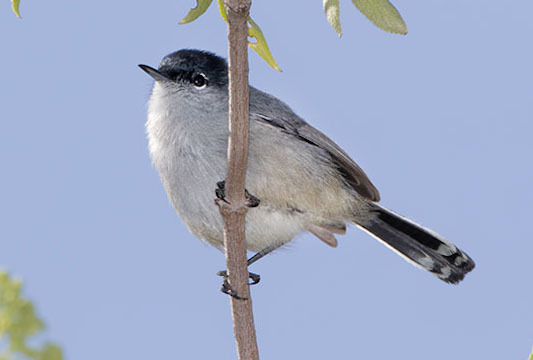 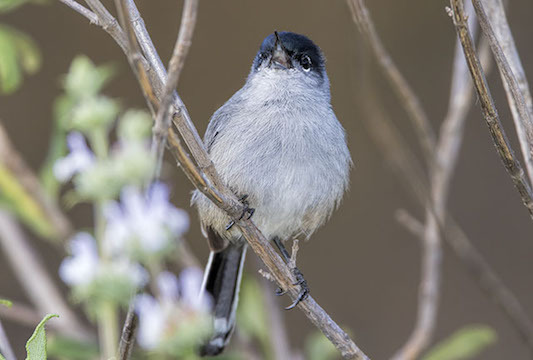 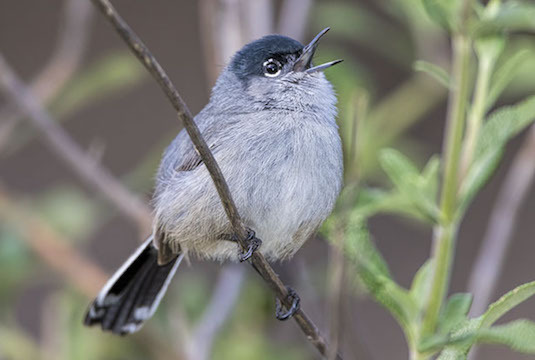 California gnatcatchers are small, lively birds that are restricted to one habitat type -- coastal sage-scrub -- in southern California and adjacent Baja California. 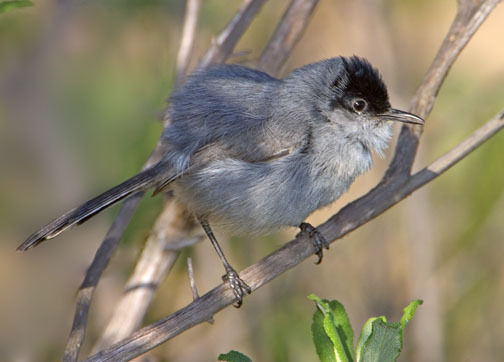 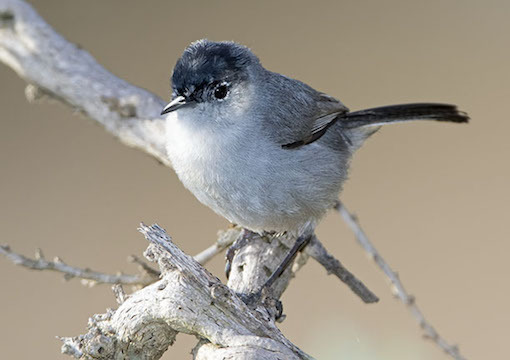 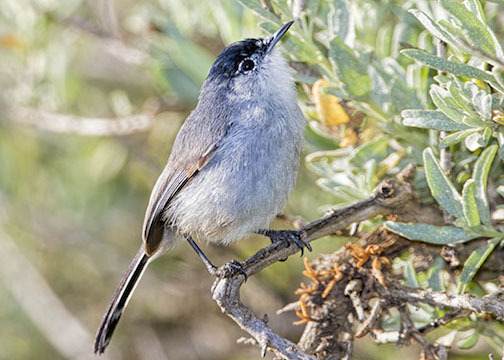 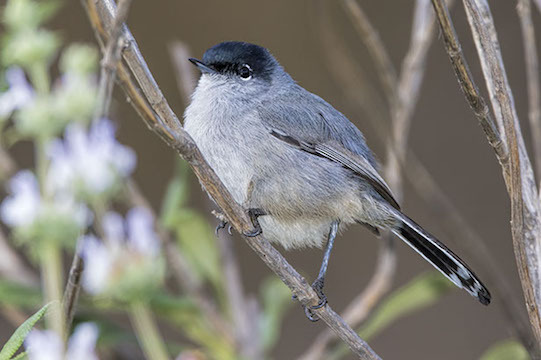 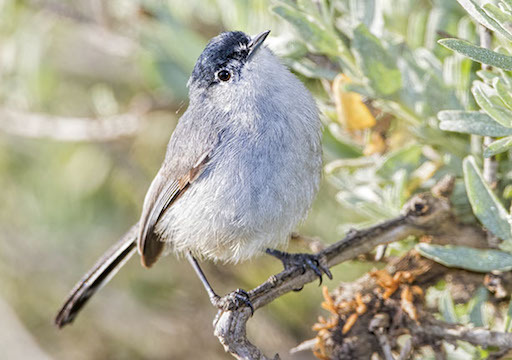 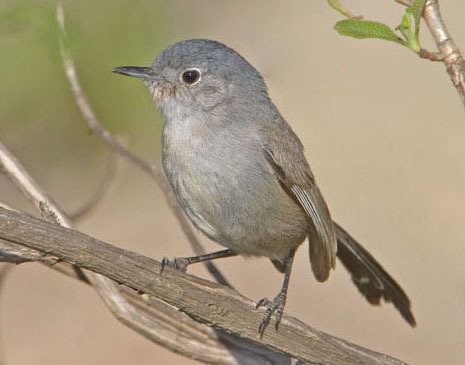 Unfortunately, this habitat is also highly favored by developers and consequently, northern populations of the California gnatcatcher are considered endangered. 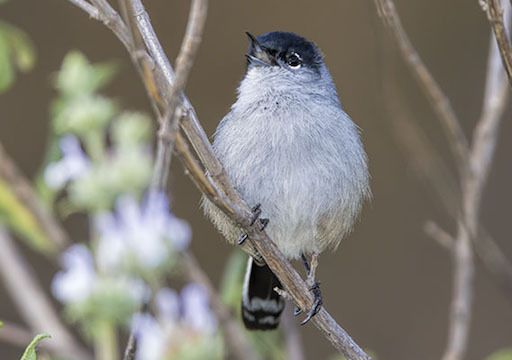 Gnatcatchers nest in the early spring and sometimes can be located by their raspy mewing calls, which are somewhat similar to one of the calls of the spotted towhee . 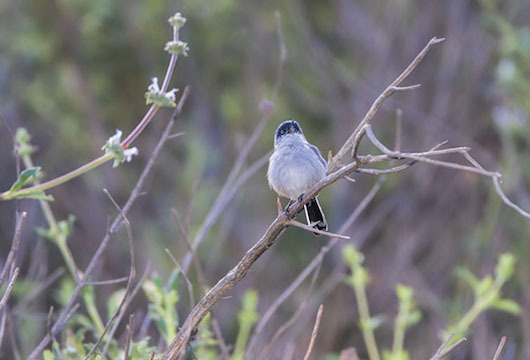 These birds let me get fairly close, but they were constantly in motion and seldom came out into the open for more than a few seconds (the female lacks the male's black cap). 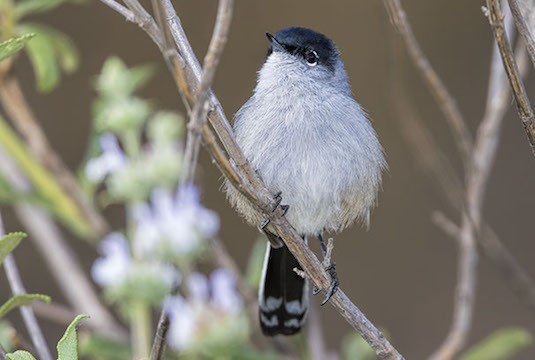 The photos were taken at the University of California's Motte Rimrock Reserve, near Perris, California, and at Bolsa Chica wetlands in nearby Orange County.